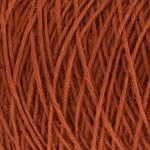 ?> Oranges & rust shades of rug making and weaving yarn with 80&percnt; wool & 20&percnt; nylon for warmth and strength. Available on 250g cones. 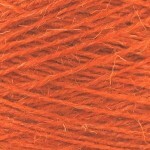 An 80% wool, 20% nylon classic rug wool in shades of oranges & rusts. Available on 250g cones. 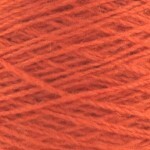 All oranges & rust shades of Axminster rug wool. 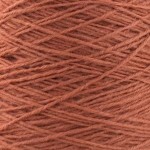 Axminster is a classic 80&percnt; wool and 20&percnt; nylon carpet yarn of exceptional quality in many colour shades (see all colours here). The wool content gives rugs and carpets good warmth whilst the nylon provides strength so that pieces will last for years. 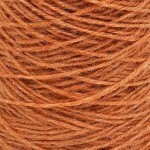 It is also mothproofed extending the lifespan of completed pieces even further. Not all the colours are the same thickness as each other so keep an eye on the meterage to judge the thickness. 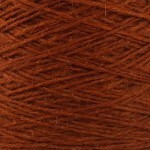 The turnover of these oranges & rust yarns is very high and we buy as much as we can of every shade, so stocks should last a good length of time - however, some shades will always be very popular and sell out quickly. Please ensure you order enough to complete your project as our suppliers may not have an exact match the next time we visit. 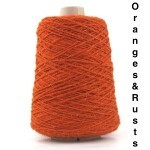 Oranges & rust shades of Axminster are versatile yarns for all types of crafts. 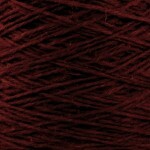 It’s ideal for making colourful classic velvet pile carpets and rugs or shaggy rya rugs using either a tufting gun or a few ends together using a latch hook and canvas. 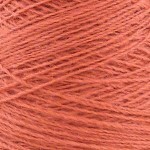 Brilliant to weave into rugs, wall-hangings, carpets and runners, floor cushions and bags. 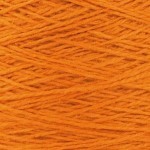 Axminster is also ideal to stitch into small hole canvas for needlepoint work such as church kneelers etc. For a twist why not crochet or knit into strong vessels, bags, containers and baskets&quest; We have bags designed exclusively using Axminster that show how ideal the yarn is for beautiful bags. 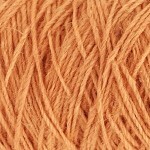 These oranges & rust shades of coned rug wool yarn are really versatile, and you get a lot of yarn for a great price. Always repeatable, but not necessarily in exactly the same shades.